Deus Ex: Mankind Divided’s second story DLC, A Criminal Past, is due 23rd February on all platforms, publisher Square Enix has announced. 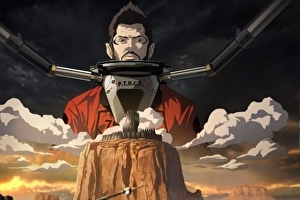 Set prior to the events of Mankind Divided, A Criminal Past follows Jensen’s first mission for TF29. The expansion transpires in an all-aug high-security prison, where ungrateful cyborg Adam Jensen has to pose as an inmate to track down an undercover agent. A Criminal Past is included in Mankind Divided’s Season Pass and will be the game’s first add-on in five months since System Rift launched in September. 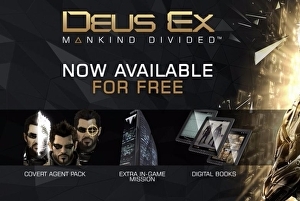 Deus Ex: Mankind Divided’s free Day One Edition launch bonus, the Augmented Covert Agent Pack DLC, is for everyone on all platforms. This includes the Desperate Measures mission, extra skins for protagonist Adam Jensen and his guns, and a few extra consumables. The new content will update automatically on Steam, whereas on PS4 and Xbox One you’ll have to download the Augmented Covert Agent Pack from PSN or the Xbox Marketplace. The first DLC for Deus Ex: Mankind Divided will feature the reappearance of a character from previous game Human Revolution. If you’ve clicked into this article and read this far, we’ll assume you want to know who. Launching on 23rd September, System Rift sees former Sarif Industries’ cyber-security man Frank Pritchard return to team up with Adam Jensen. 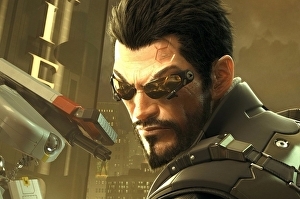 Adam Jensen – my own, custom-upgraded version of Adam Jensen, at least – is a man who can launch exploding katanas from his wrists, sweat bulletproof gel and disarm laser tripwires with a Jedi Masterly wave of the hand. In the course of 35 hours of play and a couple dozen Praxis point upgrades, I have used the character’s cyborg arsenal to obliterate cops in exosuits, sweet-talk rabid cult leaders, glide unseen through gangster safehouses and shoot EMP grenades out of the air in slow motion. 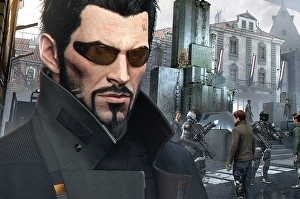 But Jensen’s most dependable ability, and the augmentation that perhaps sums up the slightly elusive sophistication of Deus Ex: Mankind Divided, is also one of the most boring on paper. I speak of smart vision, a retinal aug that boils the game’s environments down to their interactive components and hazards, laying the geography bare as a textureless and translucent VR construct. It’s a trick you’re almost certainly familiar with from other stealth-oriented games, including 2011’s Deus Ex: Human Revolution. And as in many other games, it’s a trick that somewhat undermines the art direction, letting you cut through heaps of evocative, storied detailing – the brutalist corporate sculptures that adorn the sinister Palisade Bank, or the crates of fruit and circuitboards that line the corridors of Golem City – at the touch of a button. But if smart vision is a well-worn mechanic, and expressive of an old tension between the stories such worlds seek to tell and what you actually do in them, the narrative also charges the act of peeling away visual noise with unusual import. Because most people in the Deus Ex universe aren’t as fortunate as Adam Jensen. Most people have to see the world for what it is. Mankind Divided is set in the midst of a global backlash against the mechanically augmented, following an outbreak of remotely-triggered mass psychosis at the conclusion of the previous game. Jensen is now an Interpol agent based in Prague, running down terrorists and levelling himself up while pursuing a private vendetta against the Illuminati, a fat cat collective who want to bring the transhuman generation to heel. In that context, using smart vision – an ability you must choose to unlock, after your augs are accidentally reset, Metroid-style, to factory default early in the game – comes to feel like a sort of class betrayal, a distancing of yourself from the suffering of fellow cyborgs. It purges the game’s bustling dystopia of the believably recreated exploitation and oppression other locals have no choice but to witness. Deus Ex Go, the mobile turn-based puzzler by Hitman Go and Tomb Raider Go developer Square Enix Montréal, is out today on and . Priced at £3.99 / $4.99, Deus Ex Go puts players in the role of ungrateful cyborg agent Adam Jensen as he infiltrates various corrupt corporations orchestrated by the illuminati. You’ll get to hack security devices, manipulate the environment, and sneak past guards, drones and turrets to complete your objective. 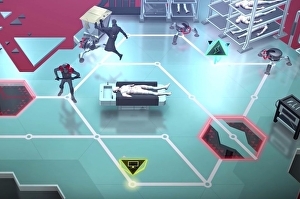 Deus Ex Go consists of more than 50 stages with a new puzzle being added every weekday. It will also have a level editor so players can create and share stages with their friends – a first for the series.